Offering quality chiropractic care to the Harrisburg, Hershey & Hummelstown community since 2008. 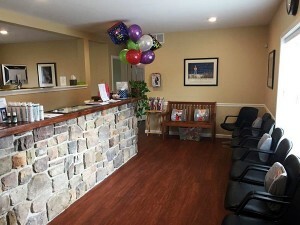 Harrisburg chiropractor, Dr. Rob Jackson was born and raised within 5 miles of Harrisburg Area Chiropractic on Grayson road. Dr. Jackson feels very fortunate to now serve the very community that he grew up in. Our mission is to help individuals and families within our community to realize their true genetic potential for health through empowerment, education and natural Chiropractic care. Our goal at Harrisburg Area Chiropractic is to create a patient centered Chiropractic office with affordable fees, convenient hours, flexibility in our schedule, and that was respectful of our patients time and finances. Most office visits take no more that 15 minutes (except for the first two visits where we do our exam and explain the treatment plan and financials), and we work hard to make sure you never have to wait past your appointment time. We encourage our patients to achieve the highest levels of health they can. We try to educate them on the value of ongoing chiropractic care and how to seek a natural solution for their health concerns and those of their family. It is by far the least dangerous, least expensive, most effective and most intelligent choice. Our desire is to see our practice members abandon the prevailing sickness care model of health (waiting for symptoms and then taking action), in favor of the emerging wellness model. Our job is to offer you the finest chiropractic care possible, and it’s up to you to decide how much of it you want.